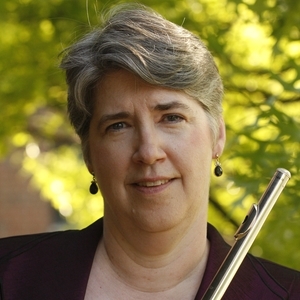 Dr. Cate Hummel is one of the most sought after flute instructors in Chicagoland. Active in and around Naperville and the Fox Valley, her students have distinguished themselves as finalists and winners at ILMEA, in local competitions and in top local youth orchestras. Many have gone on to study flute performance and music education at colleges and universities all over the Midwest and around the country. A number of them are now band directors around northern Illinois, and some are rising stars in the flute world. She is founder and director since 2000 of Dr. Cate’s Flute Camp, a day camp for 7th - 10th grade flute students sponsored by Quinlan & Fabish in Montgomery, IL. She writes a popular blog on teaching flute for band directors called Dr. Cate’s Flute Tips, drcatesflutetips.wordpress.com. In addition, Dr. Cate is Adjunct Professor of Flute at the University of St. Francis. She is also a performing artist and scholar for Azumi and Altus flutes. In this capacity, she travels to schools, music dealers, flute events and educator conferences around the country and internationally, performing and presenting on a wide range of topics including her research on the teaching of Marcel Moyse, good practice habits and flute pedagogy. She received a DMA and MM from Manhattan School of Music and BM from the Philadelphia College of Performing Arts.